With a one off payment, you can have all 12 monthly timetables available to you throughout the year as soon as they are published. Digital timetables are often available earlier than the printed editions and there is no postage delay or additional cost. 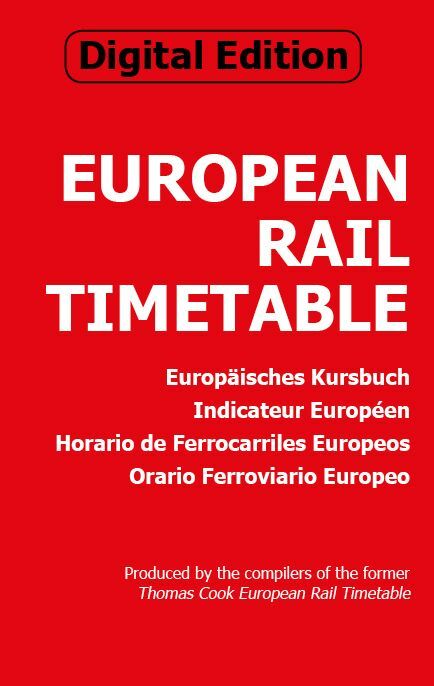 The digital editions of the timetable are exact e-book copies of the printed versions and can be viewed either online through an Internet browser or offline on a smart-phone or tablet using our ERT App (available from Appstore and Google PlayStore).